Cory McGinnis reports the news at 10 p.m. on CBS 42 in Birmingham. 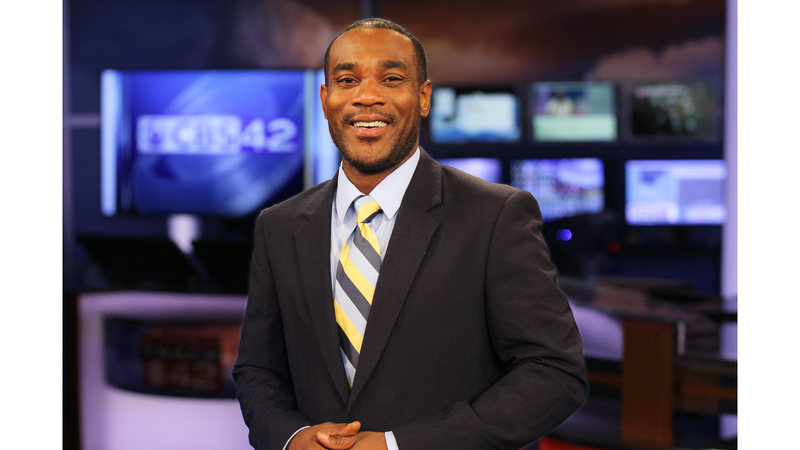 Cory joined the CBS 42 family in August 2018. Before coming to Birmingham, he worked several years at CBS 46 and Fox 5 as a reporter in Atlanta. Before Cory got to Atlanta, he worked at ABC 33/40 in Birmingham, Ala. At ABC 33/40, he chased storms on a regular basis developing an expertise at covering severe weather. Before ABC 33/40, McGinnis worked at WJBF in Augusta, GA. He also interned at CNN and WSB-tv in Atlanta. Cory is a member of the National Association of Black Journalists and also a member of the National Press Photographers Association. Since his arrival at CBS 42, Cory has traveled to North Carolina for special reports on Hurricane Florence. Cory actively hosts local leadership and community events and celebrations. His true passion is working with kids and young adults to help insure they get additional encouragement and support to accomplish whatever it is they want to do in life. A Chicago native, he studied at Kennesaw State University in Georgia. Feel free to give him a call, email or text and say hello.